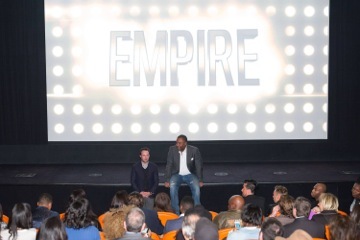 Last night, Fox hosted a special pilot screening of its highly anticipated new show “Empire,” which was co-created by director Lee Daniels and his partner in crime Danny Strong and features an original soundtrack by Timbaland. Strong and Daniels last collaborated on the beloved historical drama “Lee Daniels’ The Butler.” The intimate event, held at The Crosby Hotel, was the first official screening of the show, which premieres in January 2015. Before the viewing, guests mingled and snacked on a wide array of candy. We spotted Kenny Leon, Jeremy Piven, Grace Hightower, Robert De Niro and Julian Schnabel, to name a few. From the show Taraji P. Henson, Terrence Howard, Lee Daniels, Danny Strong and Executive Producers Francie Calfo (President of Imagine TV) and Ilene Chaiken were in attendance. The show is also executive produced by Brian Grazer. “Empire” tells the story of Lucious Lyon who is a legendary hip-hip artist and the CEO of Empire Records. After he learns he has a terminal illness, he decides it is time to pass his company on to one of his sons: Andre, Jamal or Hakeem (played respectively by Trai Byers, Jussie Smollett and Bryshere Y. Gray aka Yazz The Greatest). This transition isn’t going to be easy as only one son can take the reigns of the empire. To complicate matters, Lyon’s ex-wife Cookie (Taraji P. Henson) has just been released from prison after 17 years and she wants to be compensated for her role in Empire’s success. 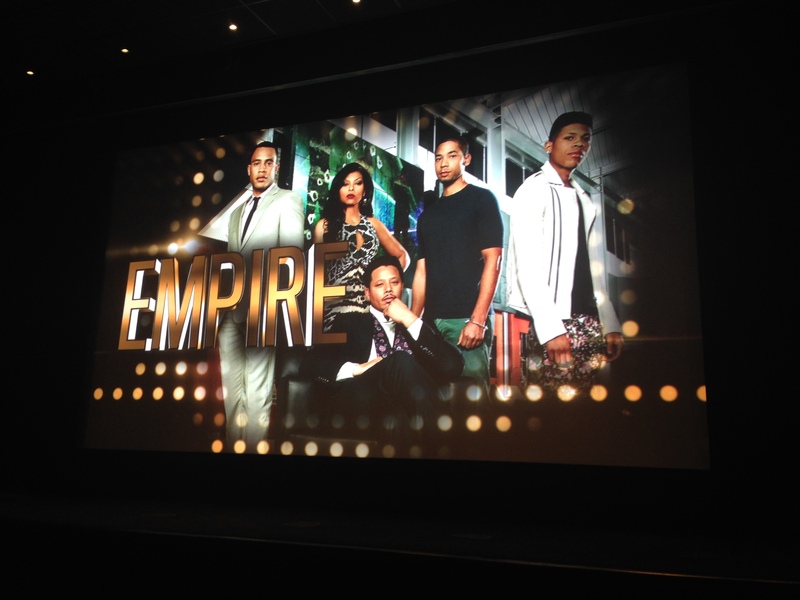 So does “Empire” live up to the hype? Definitely! We can’t wait to see what happens next.